Anthony joined Anterra in July 2015 after an 8-year career with Waterton Residential where he served as Capital Program Manager for a multistate portfolio of 17 value-add properties that included high-rise buildings, mid-rise buildings, garden style buildings and retail. Prior to Waterton, Anthony worked for ING Clarion from 2002 – 2007 with responsibilities that included budget creation, expense management, safety training, preventive maintenance and performing due diligence nationwide on potential acquisitions. 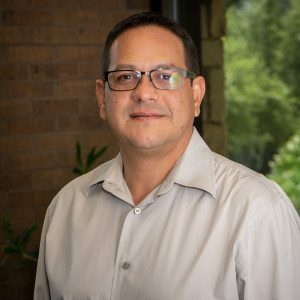 Anthony began his career with SBC Company/Post Properties in 1988, where he gained experience with new construction, interior renovations, exterior renovations, and commercial maintenance, and oversaw the adaptive re-use of building that was constructed in 1903. Anthony is CAMT certified, Universal EPA certified, EPA-Asbestos certified, EPA-Lead Based Paint certified, and HVAC licensed by the State of Texas. Anthony brings with him 27 years of experience in the multi-family industry.